Signed copies of I See Something Green, a children’s book written by local author, Marsha Bergstrom Georgiopoulos, and illustrated by our own Nature Artists’ Guild president, Gail Diedrichsen, are now available at the gift shop located in the Visitors’ Center of The Morton Arboretum, The Arboretum Store. Gail is so excited to see the book on the shelves next to some of her favorite books about nature! 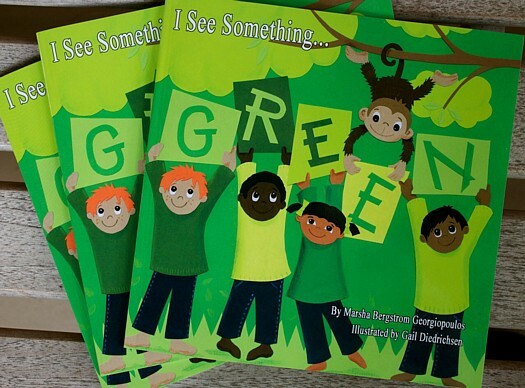 I See Something Green, the first in a series of books based on color, stresses the importance of living green and saving our forests. “Yellow” is in the works and will focus on the importance of bees. Marsha, a retired literature and Spanish teacher, and Gail, a retired literature and art teacher, are seasoned educators dedicated to their professions, both receiving Golden Apple nominations. Once retired, as Gail puts it, “they did not abandon their need to influence our next generation”. Marsha enjoys writing children’s poetry and Gail loves to “illustrate cute animals for children”. 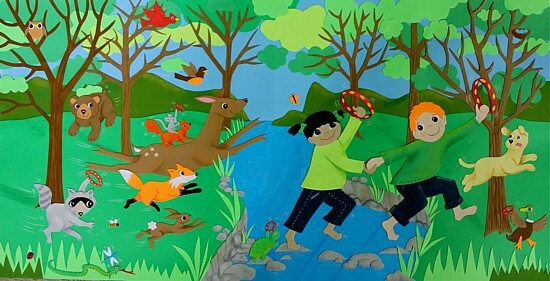 This book series will allow Marsha and Gail to combine their passions and talents to send an important environmental message. Books purchased from another source, or even signed books from The Arboretum Store may be brought to one of our Nature Artists’ Guild meetings, where Gail will be happy to personally inscribe them. Congratulations, Gail and Marsha. We are looking forward to “Yellow”!